The Shard – Hi, I'm Anna. Nice to meet you. 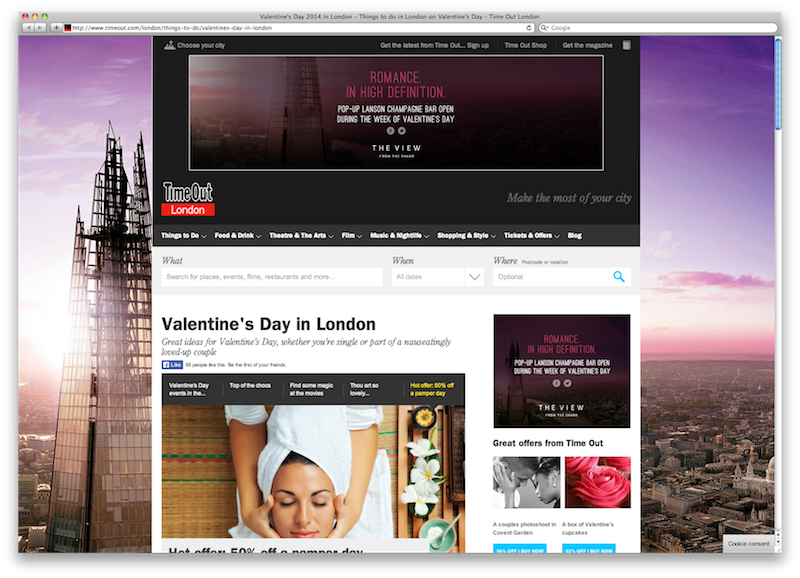 Photo editing and online banners for The View From The Shard campaigns. I assisted in editing photography for the High Definition brand campaign. The imagery featured in advertising within multiple publications promoting Valentine’s Day. I also led the online banner creation from planning to production. This lived in GIF and Flash format across the internet including a TimeOut webpage takeover. I also created online banners (GIF and Flash formats) for the February half term ‘Kids Go Free’ promotion.